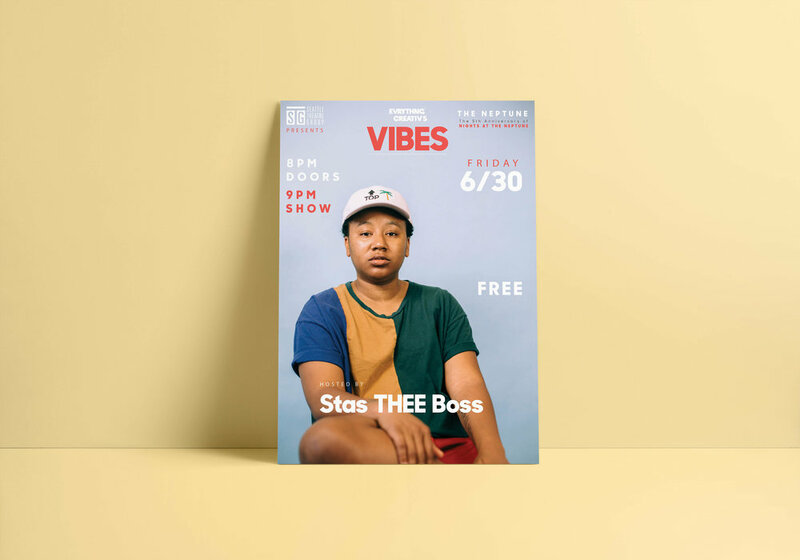 Promotional designs for EVRYTHNG CREATIV'S VIBES: The 5th Anniversary of Nights at the Neptune. 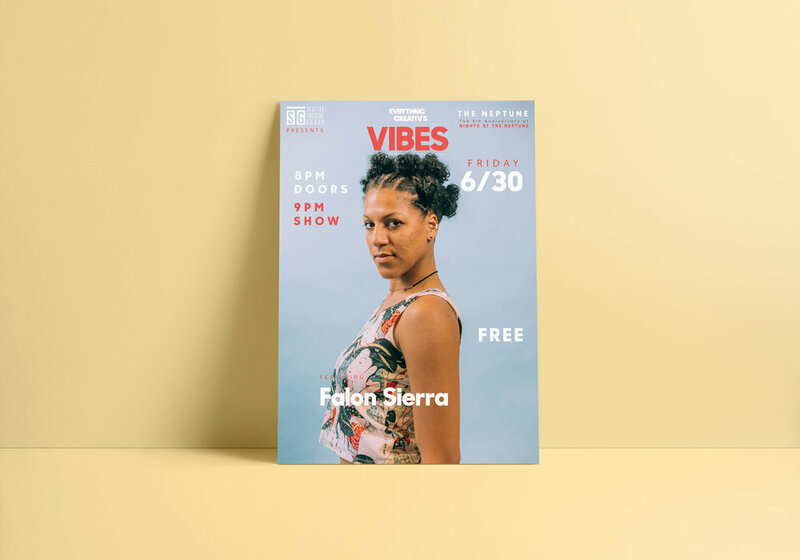 VIBES is a party to celebrate 5 years of presenting the powerful voices of Seattle with a night of performances and dancing. This project was a combination of photography and design for social media and web promotion.